There's no doubt that I love shopping, especially at the start of each new season. However, it really isn't conducive for my closet or bank account. I've said it before, but I really believe that having a closet full of basics that don't go out of style, is key to transitioning your wardrobe year to year. I then like to add trendy pieces each new season to give some character to my look. 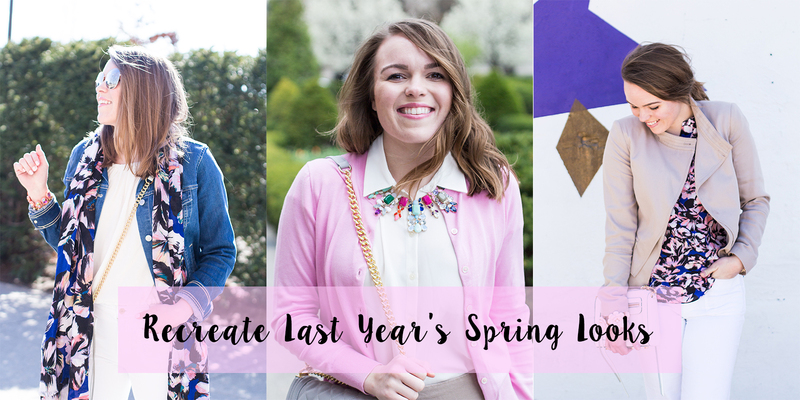 I pulled some looks from the archives and added new (or the same) pieces to the widget below so you can "recreate" looks from last spring. In "threes" you will find pieces that are similar to the pieces I wore last spring. 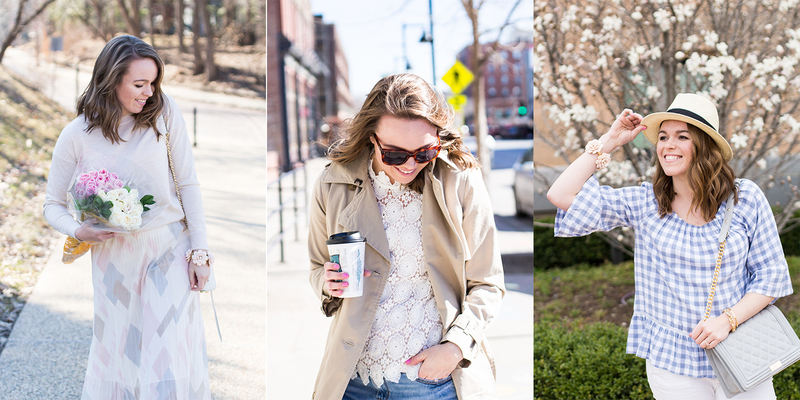 Basics like a denim jacket, pair of white denim, khaki trench coat, and fedora are great to have every spring. Switching up jewelry, floral patterns, or simple tops (like the off-shoulder pink shirt) are great additions. Those items don't easily break the bank!